Rally’s is a fast-food restaurant franchise serving hamburgers, fries, ice cream and more through their unique double drive-thru concept. Following a merger with Checker’s Drive-In Restaurants in 1999, Rally’s became the largest double drive-thru restaurant chain in the nation recognizable by their bold checkerboard and chrome branding. A Rally’s application link is located at the bottom. At Rally’s they believe that every person makes a difference and that by focusing on hiring people with integrity who enjoy making other people smile they will be able to pursue greatness and excellence on every level. According to the free application form online, working for Rally’s is big, bold, and loaded with flavor and fun. Rally’s was founded in 1985 in Louisville and In 1999 the company merged with Checker’s, which has led to more than 800 restaurants in the U.S. Rally’s presents a great opportunity for employment with a stated goal to grow people. Rally’s is proud to lead the pack in internal promotion. In fact, they promote from within at a higher rate than any other company at 80%. Operating under a franchise business model, this now private company is headquartered in Tampa, Florida. Checker’s and Rally’s is currently owned by a private equity firm called Sentinel Capital Partners. Keep reading to learn more about how to apply for Rally’s online and for where to find a direct application link. Job opportunities at franchise locations are available nationwide, however some states do not currently have any local restaurants. Rally’s jobs at franchise locations will mostly be entry-level and at, or around, minimum wage. Positions may include Assistant General Manager, Shift Manager, and Team Member. In order to see what Rally’s careers are available to you in your location, review all Rally’s jobs online. You can also consider and apply for jobs at Rally’s corporate. Take your time and read each job description that may be applicable to your career skill set. They are currently hiring for Business Analyst, Corporate Chef, or Web Developer. Other jobs, such as Human Resources and Finance, may become available so continue to keep an eye on the job postings and apply online when one opens. You must be at least 16 years of age to work at local franchises. But requirements go far beyond age at corporate, so download application form and make sure you meet all stated qualifications before you apply for any Rally’s jobs. Rally’s offers employees a strong, comprehensive benefits program. It includes medical, dental, and vision plans along with a 401K plan. You will also be able to get coverage for life insurance and both short- and long-term disability. Successful performances are also acknowledged and rewarded through their recognition program; prizes include cruises, gift certifications, and much more. At corporate headquarters the hours of operations are Monday thru Friday, 8:00 a.m. to 5:00 p.m.; closed Saturday and Sunday. Franchise locations are open every day from 10:00 a.m. to 3:00 a.m.; although, keep in mind that some may close sooner. Check their website for hours at your local restaurant. While you’re there, review their information and begin to apply online. Assistant Manager – At Assistant Manager level, pay can vary widely from $9.00 to $12.00 per hour. In this role, you will work closely with and directly report to the General Manager. The primary responsibilities will center on sales, customer satisfaction, and quality control. All qualified candidates will have at least two years of management experience in the quick service industry and a high school diploma. Shift Manager – The Shift Manager can expect to receive between $9.00 and $9.50 per hour. This role assists the management team by supervising the restaurant employees and will report to the Assistant Manager or General Manager. This is a good entry into a managerial role for those who are goal-oriented, self-motivated and service-focused individuals. Applicants must have a high school diploma. Team Member – The Team Member’s at Rally’s typically make about $8.00 to $8.50 per hour and are the backbone of the restaurant operations where they will serve a variety of roles. Responsibilities may include creating the food, cashier, line cook and more. No experience is required; Rally’s will train enthusiastic candidates who are willing and able to learn. Social Media Manager – As part of the Marketing Team, this corporate-level position should pay about $51,000 annually and will be tasked with keeping a trained eye on Rally’s social media activities and ensure that all digital creative used on Social Media matches brand standards. The perfect applicant will have a Bachelor’s Degree and more than two years of experience in Social Media, web development, and analytics. Business Analyst – As a Business Analyst, qualified candidates can expect a salary around $80,000 annually. This role provides business analytics and project management expertise for IT projects and applications, including software, mobile, and web applications. A Bachelor’s Degree in Business, Computer Science, or Information Technology is required and six to eight years of experience. Check online for full list of qualifications and job description. Interviews at a franchise location will be basic and casual, while corporate and managerial positions will require much more effort; use the sample interview questions below to prepare. Why do you want to work here? The right answer will focus on the big picture of what the company does. For example, don’t say because you like to eat. Instead, share how you’re looking to gain management experience with a company that believes in training and promoting from within. What will you bring to the role that no one else will? Share what you believe makes you unique. Share how you are driven, self-motivated, and great at multitasking, have strong communication skills and find joy in serving others. Also, if there is something truly unique about your work experience, talk about it. For example, if you regularly volunteer in your community. Where do you see yourself in five years? 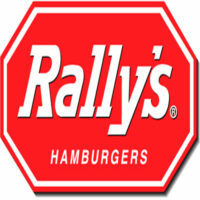 If you’re applying for management or corporate-level positions, the answer should include Rally’s in the future landscape. For example, if you’re applying for Assistant Manager, perhaps you see yourself as a Manager. Employers want to hire people who are looking for longevity. How would your former or current boss describe you? To prepare for this question, consider talking to a former boss or co-worker to see how they would describe you. If that isn’t an option, ask a friend or family member. You will want to be able to present strong qualities to the interviewer that shows you know where your own strengths lie. What would you like to accomplish in your first 6 months? If you’re applying for Social Media Manager, perhaps you’d like to see a 25% increase in Twitter followers. The answer should always include a metric that will lie within the controls of the role you’re applying for. The interviewer wants to know that you’re comfortable with setting a goal and motivated to achieve it. Start your job search on the Rally’s website to see what is available and then go to the online or printable application form at the link below. Be thorough when considering which jobs to apply for by carefully reading each job description and Rally’s application. Do not waste your or the company’s time on jobs that you aren’t qualified for. Once you find a job, locate a printable application for Rally’s, or use the online application system and get ready for your interview. Interviews at franchise locations for entry-level positions will be casual and will likely be short and to the point. You will still want to be ready by dressing in clothing that isn’t vulgar and presenting yourself clean and well-spoken. Corporate and managerial applicants will need to put more preparation into their interviews. Research the company, its history, marketing or branding campaigns, recent business successes, and more so that you can show enthusiasm for what company as a whole and not just what your role will be. The interviewer will like seeing someone who is excited about the workplace. In addition, corporate and managerial applicants will need to put more effort into attire. The dress code should be business or business casual and tasteful. Use the sample interview questions above to practice. Try to be concise but clear with your answers. You may consider writing them down or having a friend do a mock interview with you. Even if you don’t get the job, leave a good impression.